Our team at Plumber D2 are available 24/7-365 to help you with plumbing emergencies and your general day to day plumbing services. Our team pride themselves on being one of the highest quality emergency plumbing & heating companies in Dublin. All of our team are highly trained and qualified in every area of the trade.They are R.G.I. gas safe registered and covered by our D2 Plumbers public and private indemnity insurance. Whether it’s a blocked drain, a burst pipe or a replacement boiler you can count on us. We will have your problem fixed expertly and quickly. No job is too big or too small for our team to handle. In an emergency call Plumber D2. If you have an emergency we can have a local Dublin 2 plumber out to your property within an hour. As soon as you call you will get through to one of our master plumbers. At this point they will try to help you alleviate the problem over the phone. If you require we will dispatch a team member immediately. We have been established for a many years now and some of our team have over 30 years experience in the private and commercial plumbing sectors. This means we are a company you can trust to help you. We offer a complete range of plumbing services. Our motto is no job to big, none job to small. No matter the issue our high standards of workmanship and service remain the same. We are fully insured with public and professional indemnity insurance Our team are honest and reliable. They are fully focused on polite and friendly service to all of our customers. The team at Plumber D2 cover all of the following areas. If you don’t see it there do not worry we always have a plumber just down the road. Baggot Street, College Green, Fitzwilliam Square, Georges Street, Grand Canal Square, Harcourt Street, Kildare Street, Lord Edward Street, Merrion Square, Mount Street, Nassau Street, St Stephens Green, Leeson Street, Temple Bar. 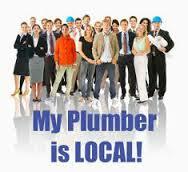 At Plumber D2 we do not charge for call outs. We will always provide a professional no obligation quote. We do not have hidden fees or charges. We never add extras such as traveling time or parking fees. Our vans are always fully stocked so as there is never a need to be “getting parts”. When you live in or around the D2 area and need a D2 plumber urgently. Pick up the phone and call your local experts today on 01-2844921.